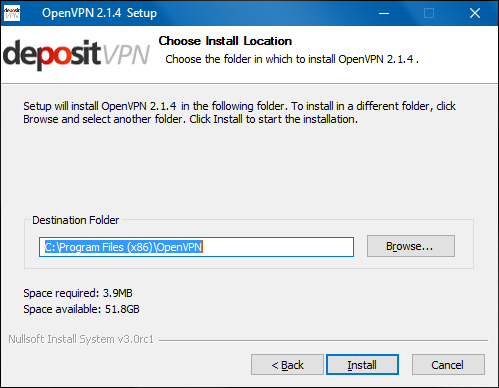 Download DepositVPN.COM's OpenVPN client click here. 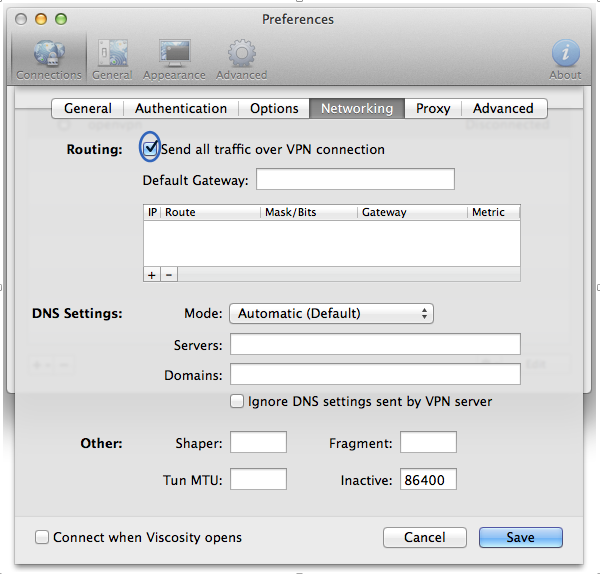 Right-click over the downloaded VPN client and click Open. When you see this welcome screen, just click Next. Nothing to do here! Just click Next. 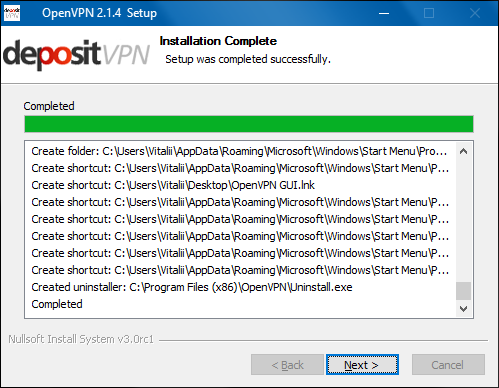 Your OpenVPN software will be saved with all your other program software. 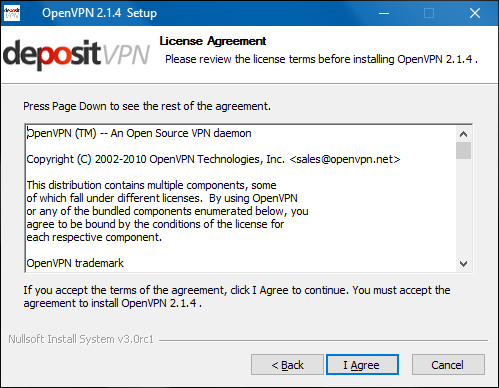 This is a very important step for the proper functioning of the OpenVPN software with Windows 7 and up. 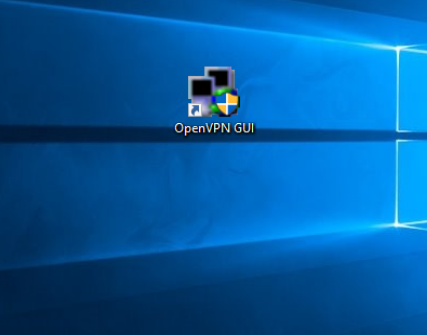 We have to make sure that we run OpenVPN GUI (the program that we will use to connect/disconnect to DepositVPN) as Administrator. 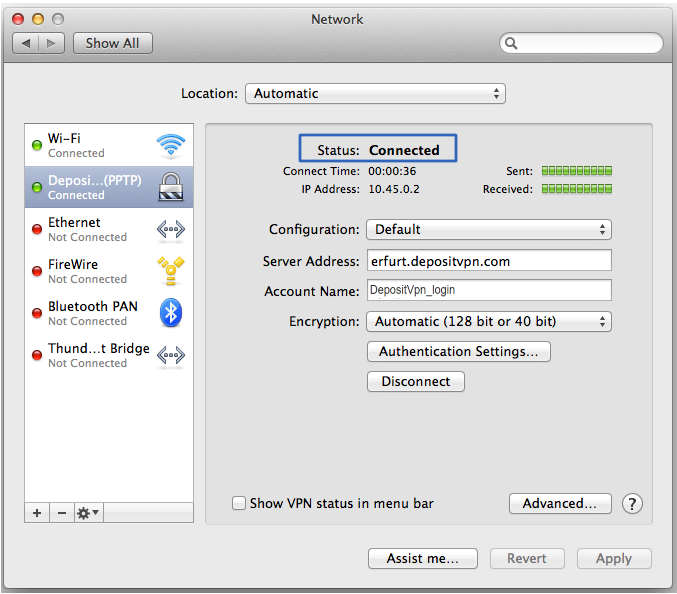 This will ensure a trouble-free experience with your VPN. 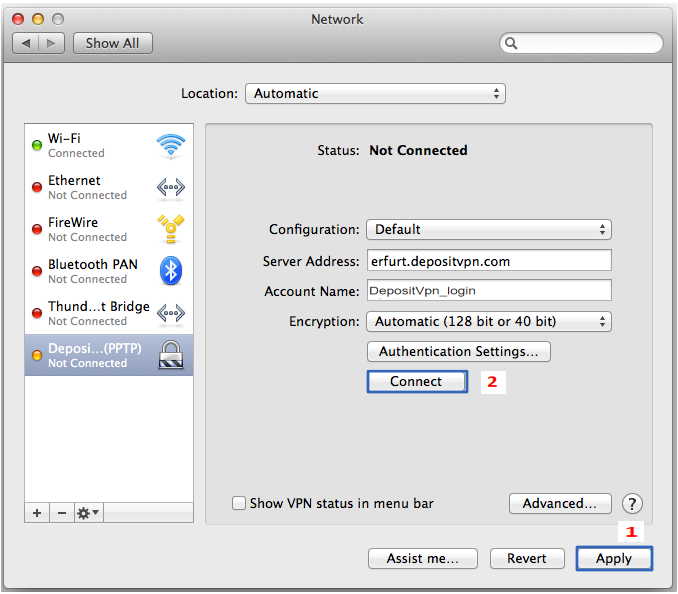 Find OpenVPN GUI on the your desktop, and select Properties. 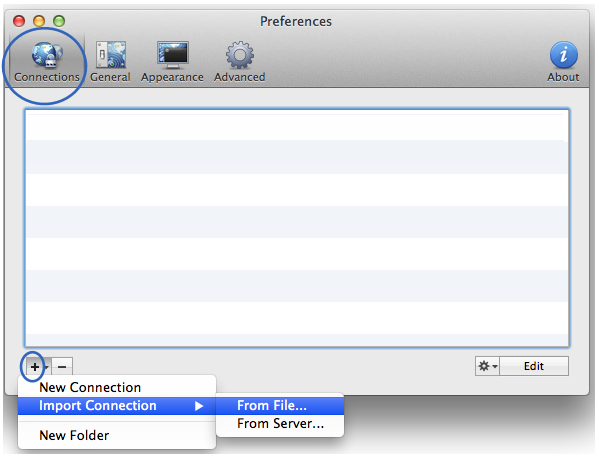 In the 'OpenVPN GUI Properties' window, select the tab called Compatibility. Now make sure the 'Run this program as an administrator' box under 'Privilege Level' is checked i.e Ticked. Then click button «Apply» and «OK». 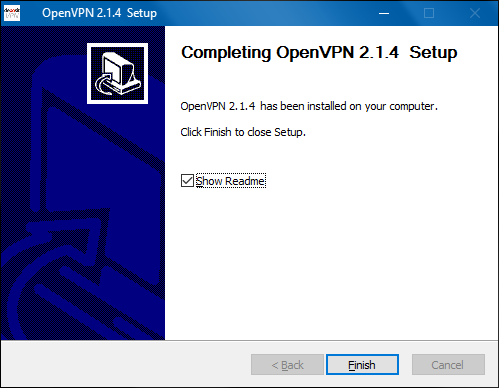 You are now ready to start connecting to your VPN using the OpenVPN software! 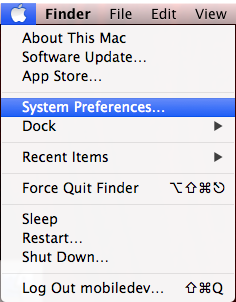 Double-click on the OpenVPN GUI shortcut icon on your desktop. You may then see a Windows security message pop up in a window entitled "User Account Control". It will say. 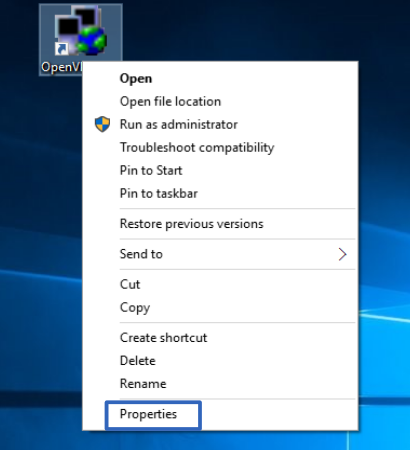 "Do you want to allow the following program to make changes to this computer?". Just click Yes. 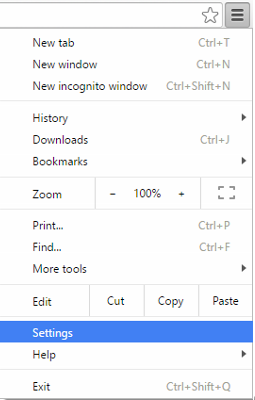 Left-click on the 'up arrow' in the bottom right-hand corner of your screen. 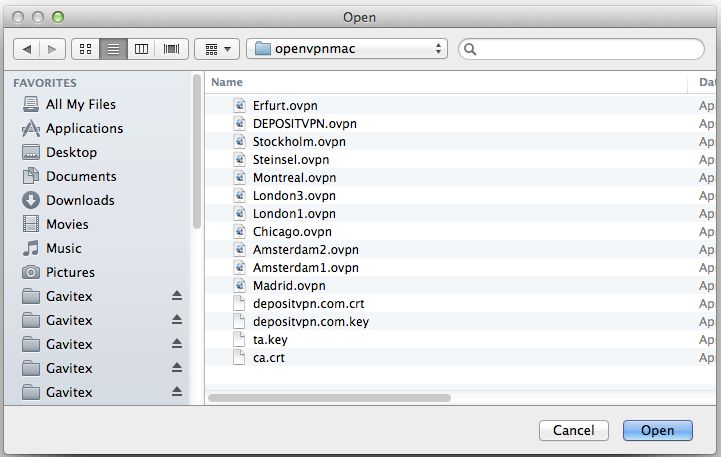 You will then see the OpenVPN Gui icon. Now input the DepositVPN username and password that was emailed to you after payment of your subscription. 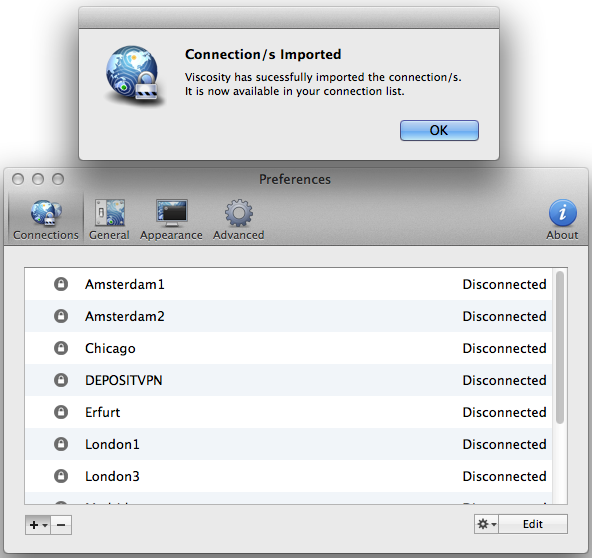 The title of the email was, "Depositfiles notification about purchasing of DepositVPN service". Then click OK.
You should now be connected! You will notice that the two small screens on the OpenVPN icon should now have changed from red to green. When they are green....you are connected. 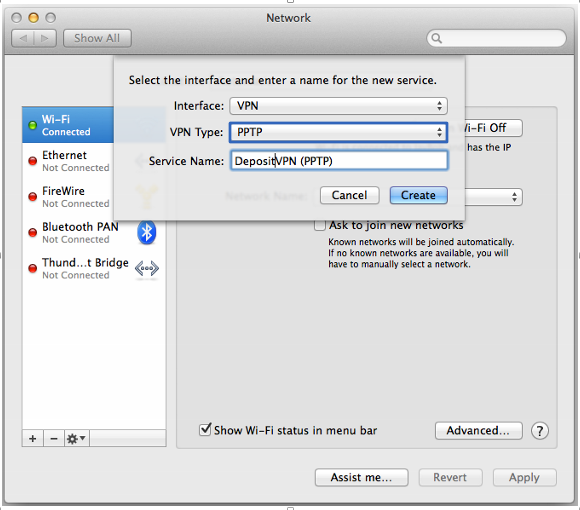 To disconnect from the VPN network, right-click over the OpenVPN icon and click Disconnect. If you wish to confirm that you really are now enjoying new freedoms, security and anonymity on the Internet, go to an IP identification site (e.g. 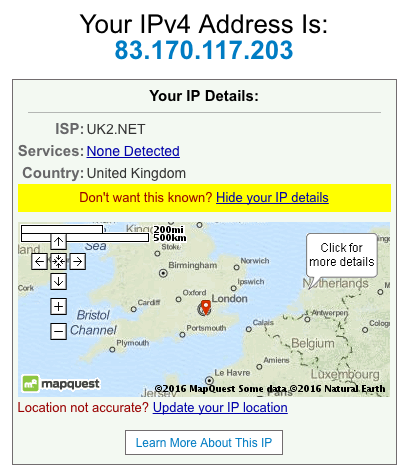 www.whatismyipaddress.com) where you can see that your IP is now a DepositVPN server node in an entirely new location. ...and probably a new country! 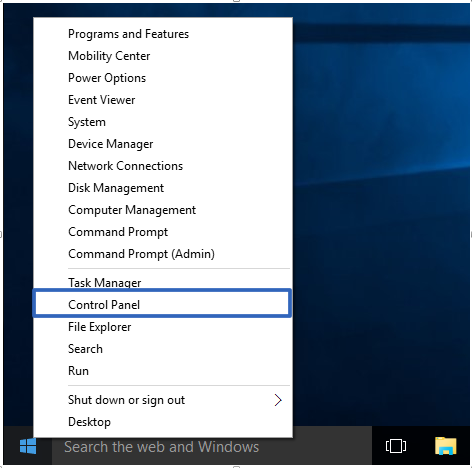 Open Control Panel in Windows 8 by swiping in from the right edge of the screen, tapping Search (or if you're using a mouse, pointing to the upper-right corner of the screen, moving the mouse pointer down, and then clicking Search), entering Control Panel in the search box, and then tapping or clicking Control Panel. 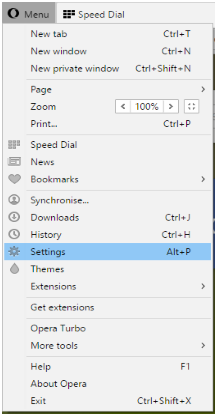 For Windows 7 click the Start button, and then click Control Panel﻿. Set up a new connection or network. 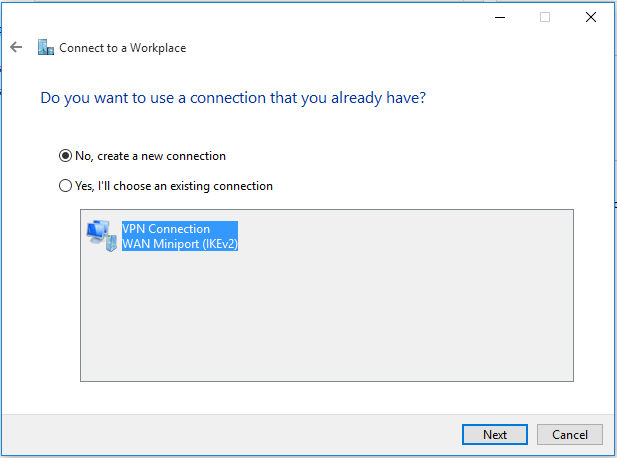 Select Connect to a workplace, and then click Next. 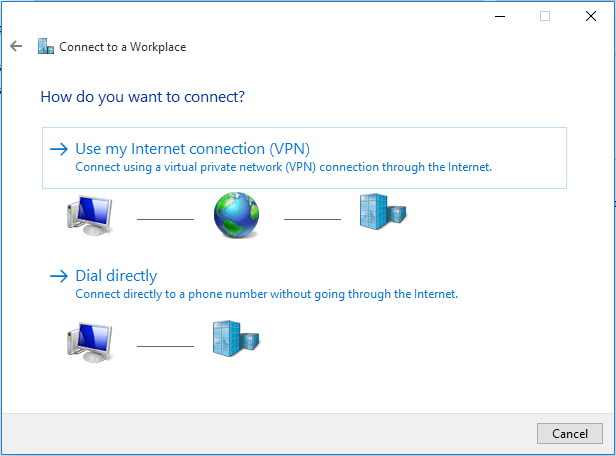 If you already have a workplace connection in place, you will see this screen. 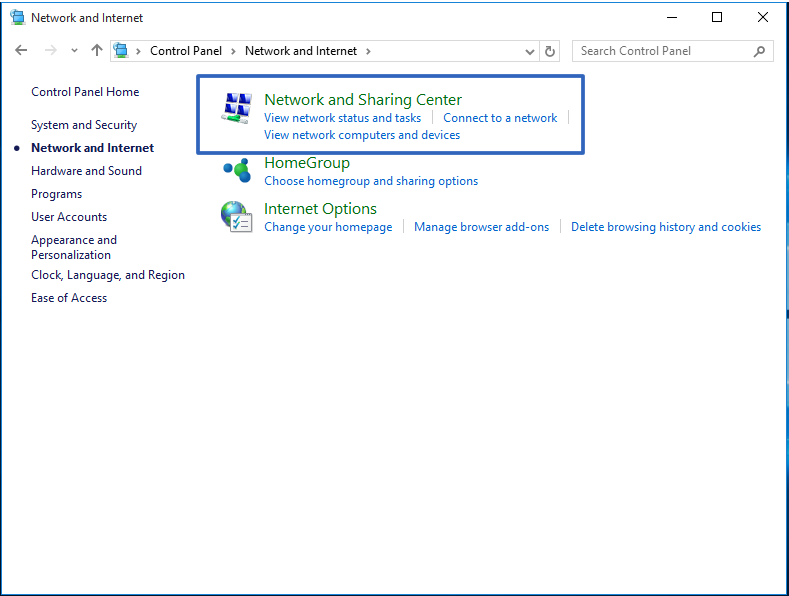 Just make sure, 'No, create a new connection' is selected, and click Next. 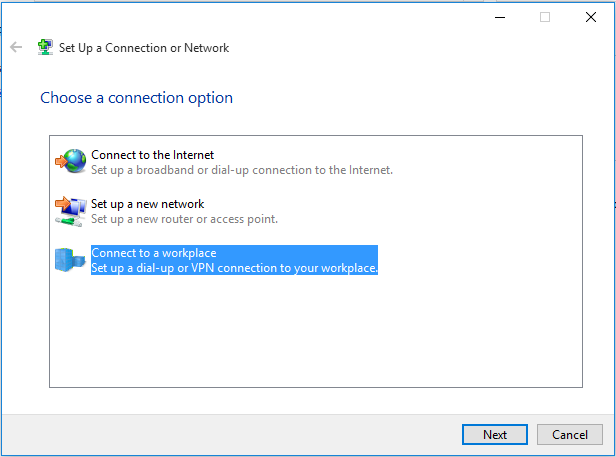 If you do not have an existing workplace connection, you will not see this screen and instead see the next screen on this tutorial entitled, 'How do you want to connect?'. Click on, Use my Internet connection (VPN). 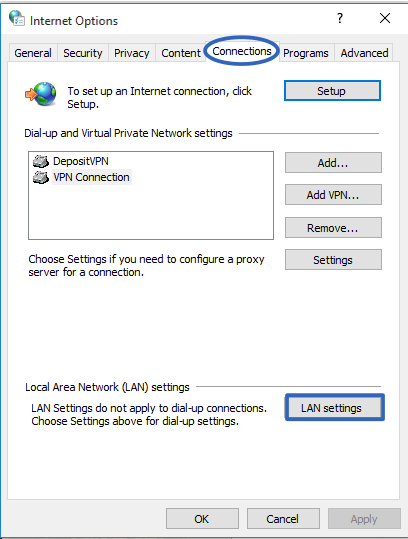 Here you choose the DepositVPN VPN node to which you wish to connect. You can change your node selection at any time. As Destination name we choose DepositVPN. Finally, click Create. 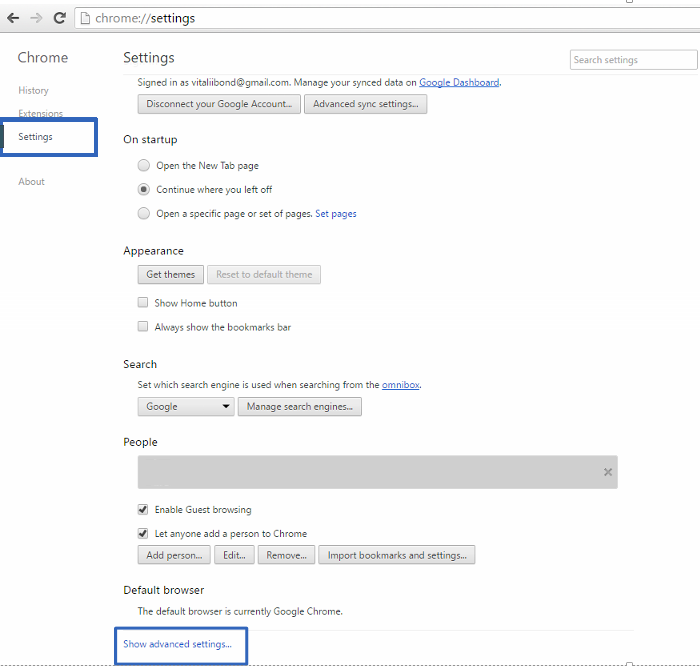 Click on Change adapter setting. 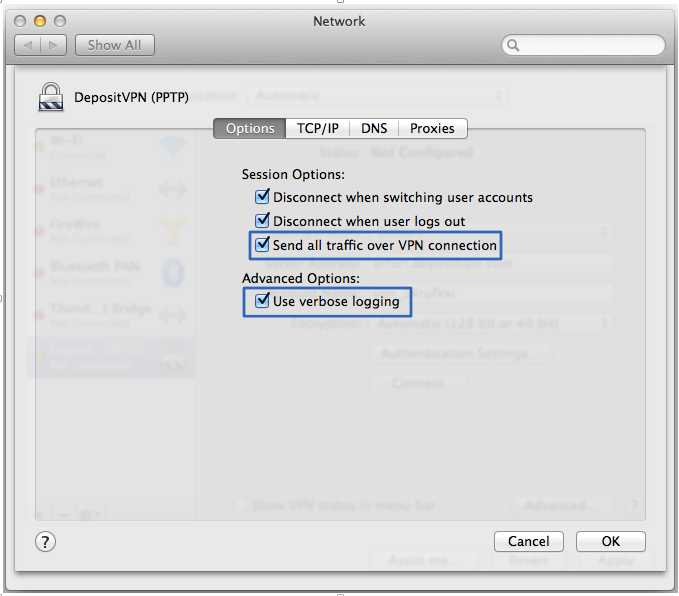 Select Depositvpn WAN miniport and double-click it. 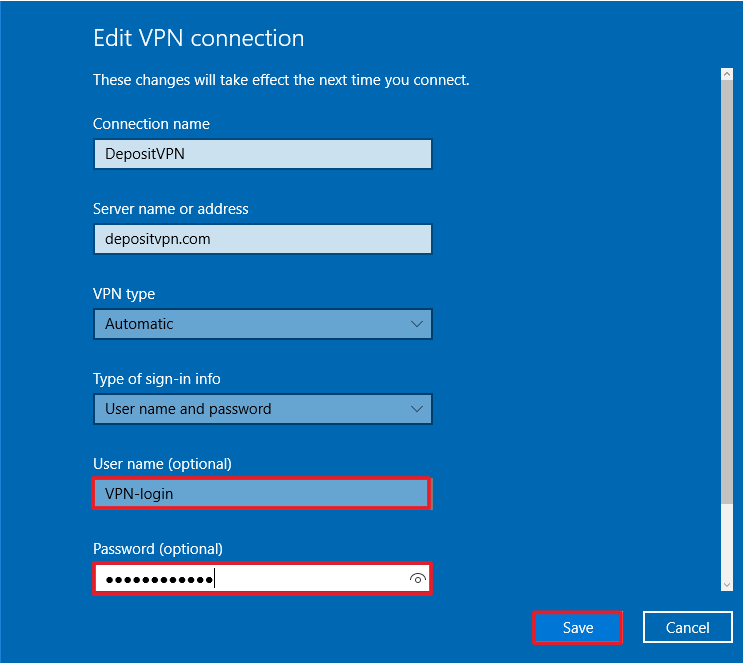 Enter your VPN username and VPN password that was sent to you in an email entitled "Depositfiles notification about purchasing of Deposit VPN service" after you signed up and paid for your vpn service. Tick the box Remember my sing-in info. Click Seve. 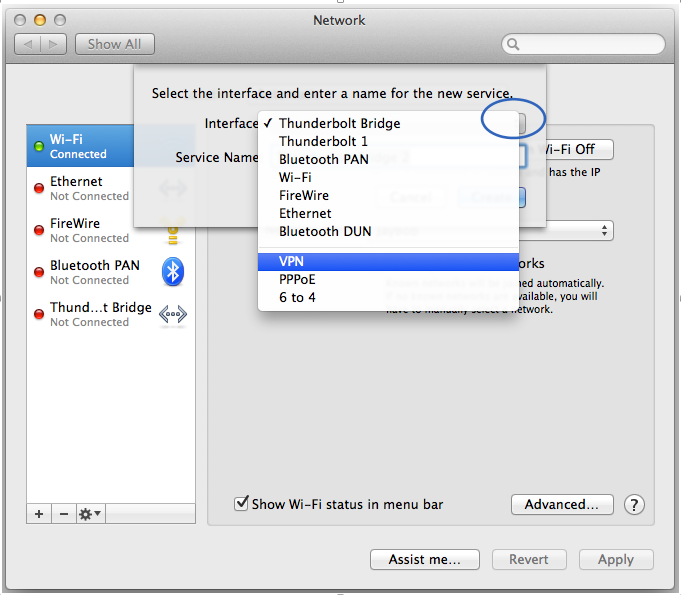 Go back to the section Setting - Network & Internet. 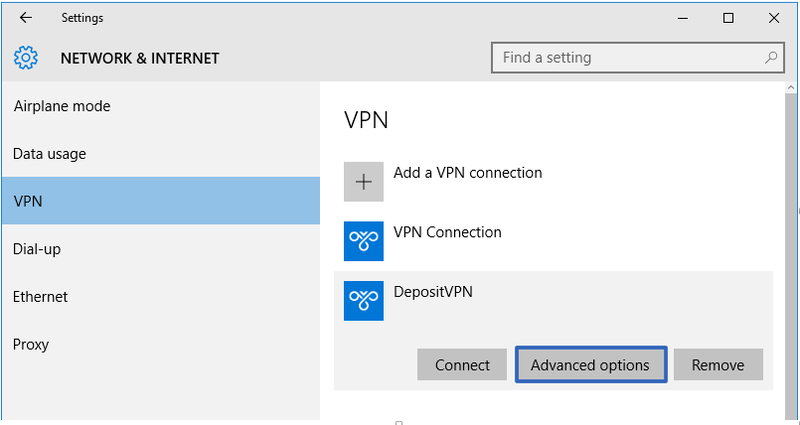 Select DepositVPN and click button "Connect"
You will now see this window as your username and password is verified and the connection is established with DepositVPN servers. Please be patient as this may take a minute or two. You do not have to do anything when you see this window....just wait. You will see the next window on this tutorial when you have been connected. When you see this window, you have been Connected. Congratulations! 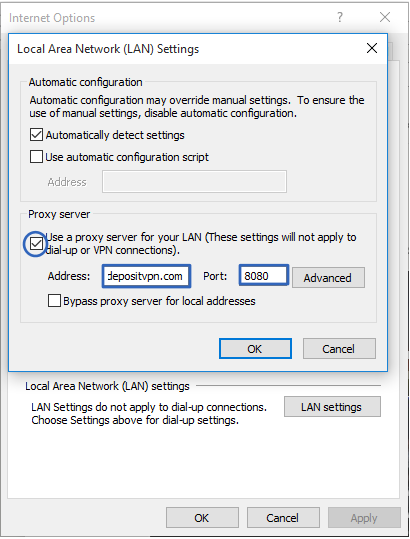 Just click on Connect to establish an SSH2 session with the selected DepositVPN server. 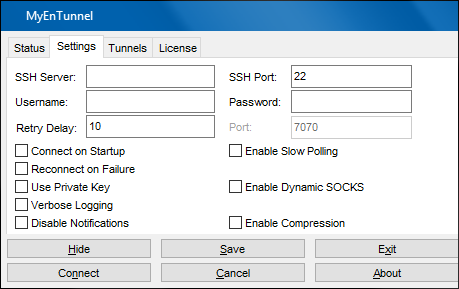 Up to now we have established an SSH2 Tunnel from our computer to the desired DepositVPN VPN Server but no data will be transmitted over it until we properly configure the applications that that will use the SSH2 Tunnel (the application(s) whose data we want protected). Up to now, we have just setup an SSH2 Tunnel. What we have achieved is to have a local port in our computer (by default 7070) listening for connections. ANY connection to this local port, will be sent over the encrypted SSH2 tunnel to the remote DepositVPN server. Now Firefox is set to transmit all data over our SSH2 Tunnel. 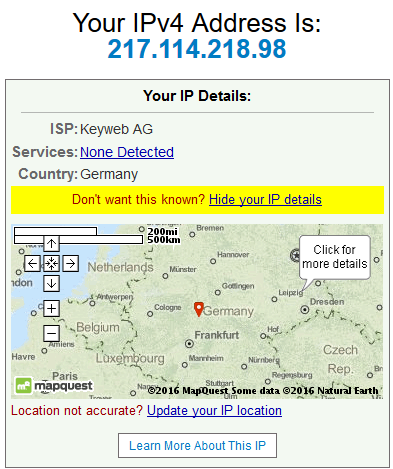 You can confirm it by opening an IP identification site (e.g. 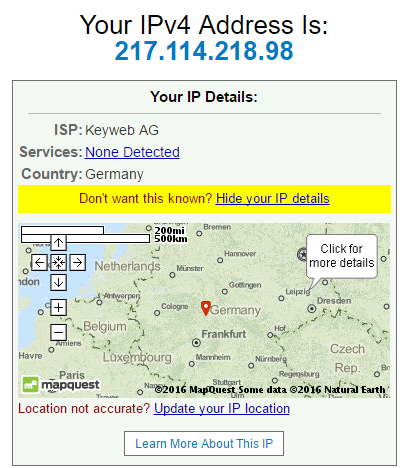 www.whatismyipaddress.com ) where you can see that your IP is now a DepositVPN VPN server in an entirely new location....and possibly a new country! 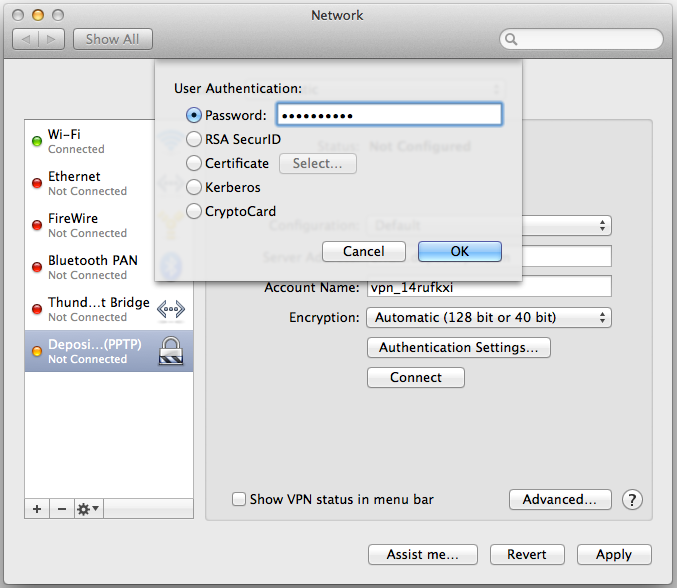 In VPN Type, select PPTP. 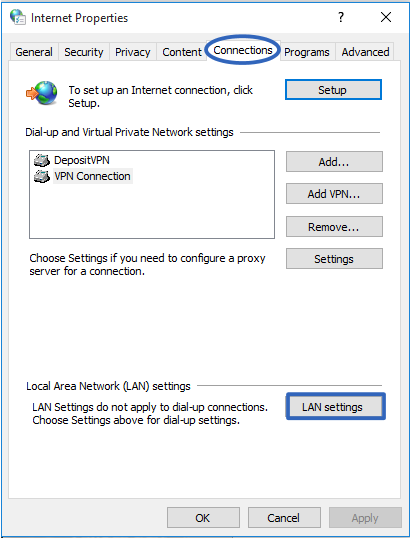 In Server Address, select the DepositVPN server node to which you want to connect. In Account Name, enter the DepositVPN username and password that was emailed to you after payment of your subscription. The title of the email was, "Depositfiles notification about purchasing of DepositVPN service". 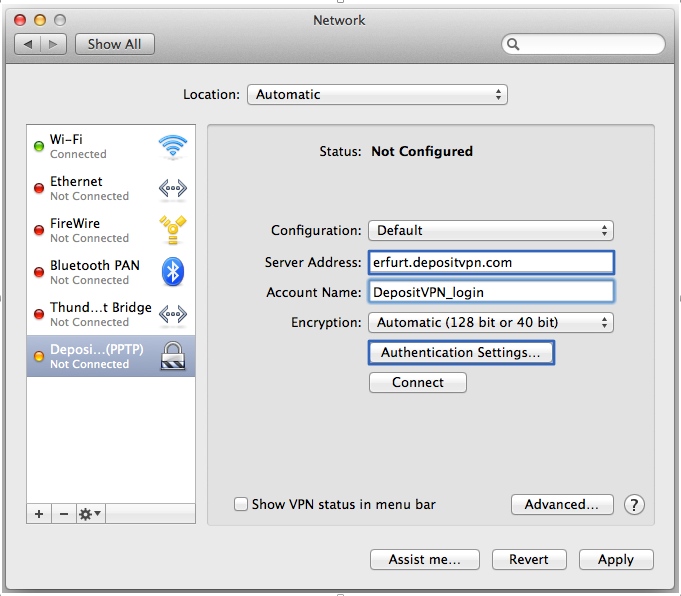 Type in the VPN password that we sent to you in the email entitle 'Depositfiles notification about purchasing of DepositVPN service'. Then click OK.
Click on Advanced to access further connection settings. Make sure that the box entitled 'Send all traffic over VPN connection' is ticked. 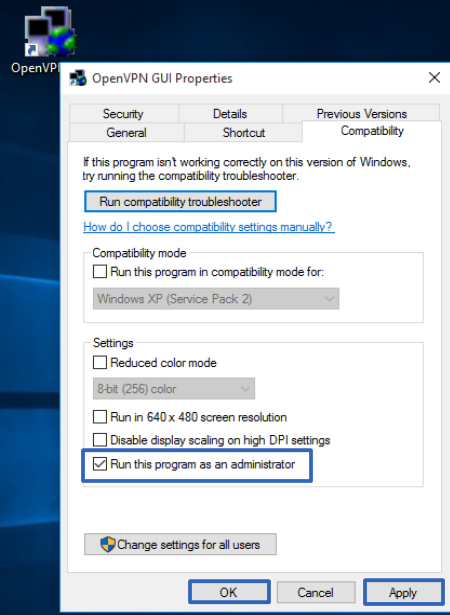 Click OK.
Only as an option: It is not mandatory to the setup. You can check the box 'Use verbose logging'. 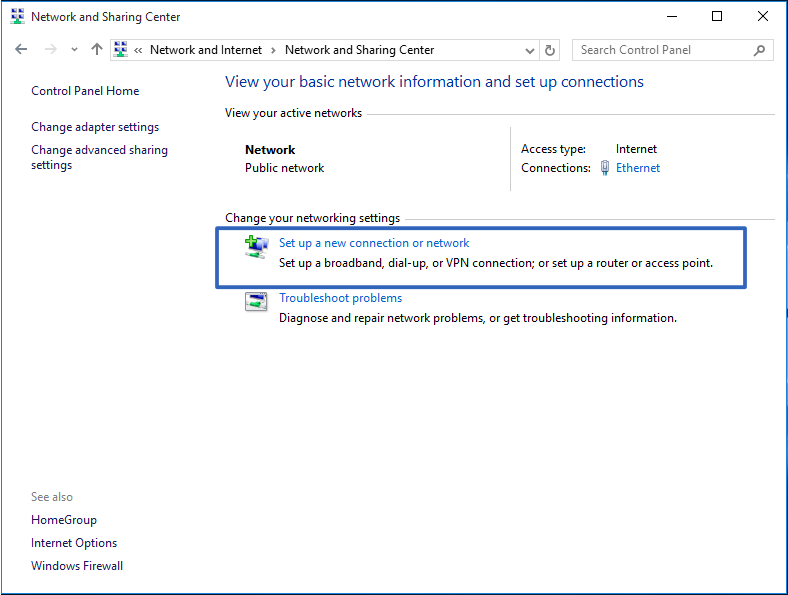 This may help in analysing any connection issues in the future. We are sure there will not be! 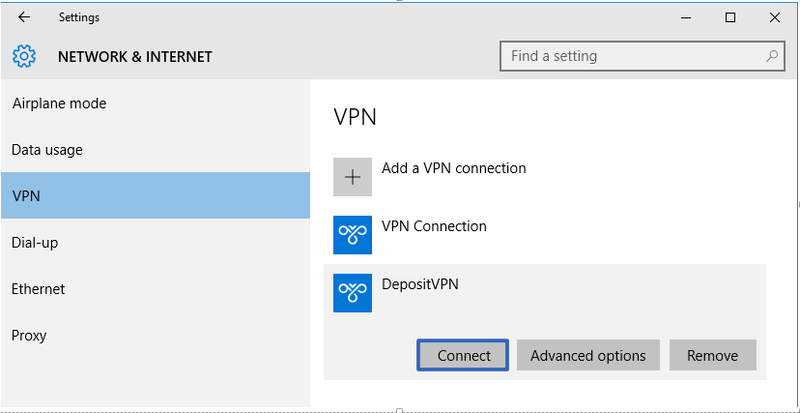 Connect to Your VPN Service. Press the Apply button first, and then Connect. 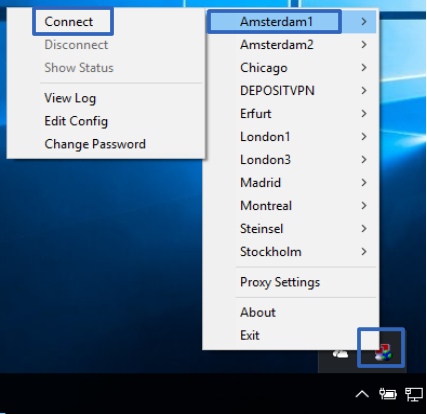 At the top of the Network window should read 'Connected' , and the connection list on the left hand side of the Network window should show DepositVPN as 'Connected'. 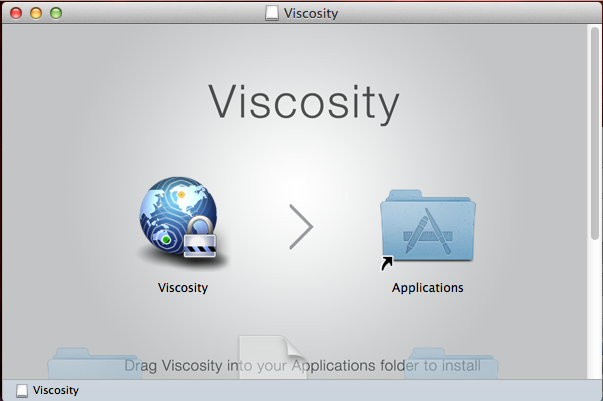 Viscosity is an OpenVPN client for Macintosh users, providing “…a complete OpenVPN solution for Leopard (Mac OS 10.5) or Snow Leopard and does not require any additional downloads or software.” It is also compatible with Mac OS X Lion. It has automated updates, and even integrates with GROWL, so you can easily see the changes in status when they occur. 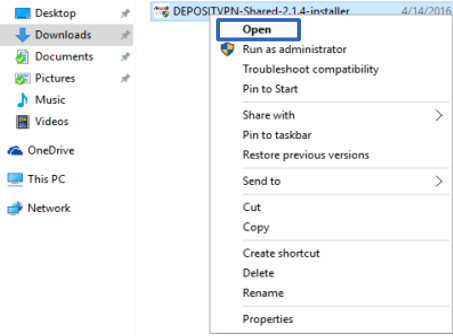 First, download and unpack the DepositVPN Configuration files in a folder on your system from here. Navigate to the folder where you saved your DepositVPN Configuration files. 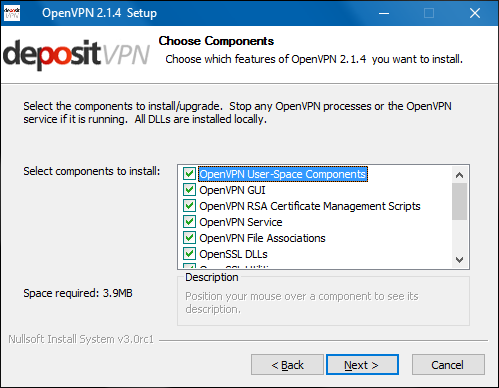 Select the openvpn.conf file, and click Open. 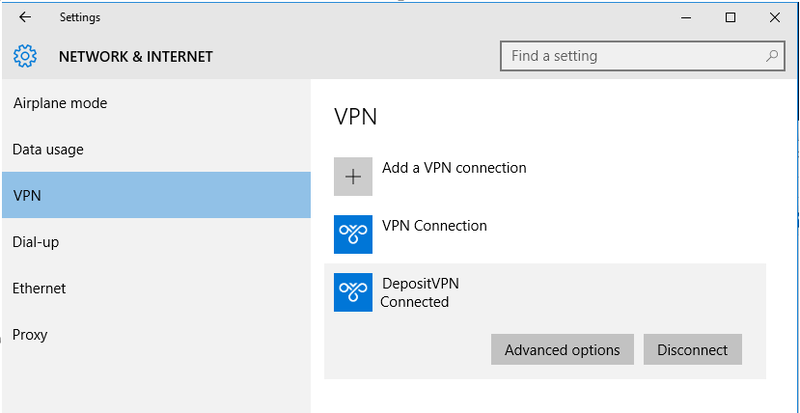 You should now see the confirmation that your configuration for the DepositVPN connection was read and imported. Now we will ensure all traffic is sent over your VPN connection. 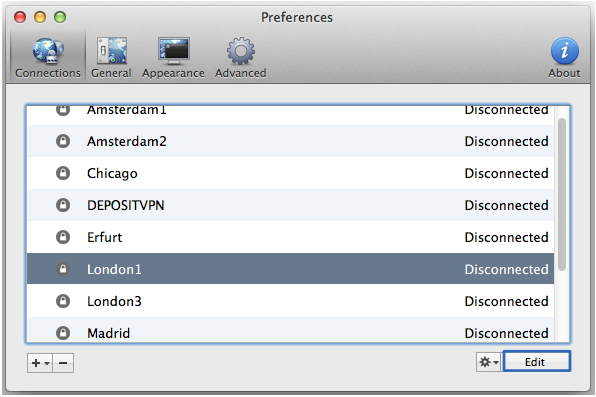 In this example we are going to choose the DepositVPN london1 VPN server. 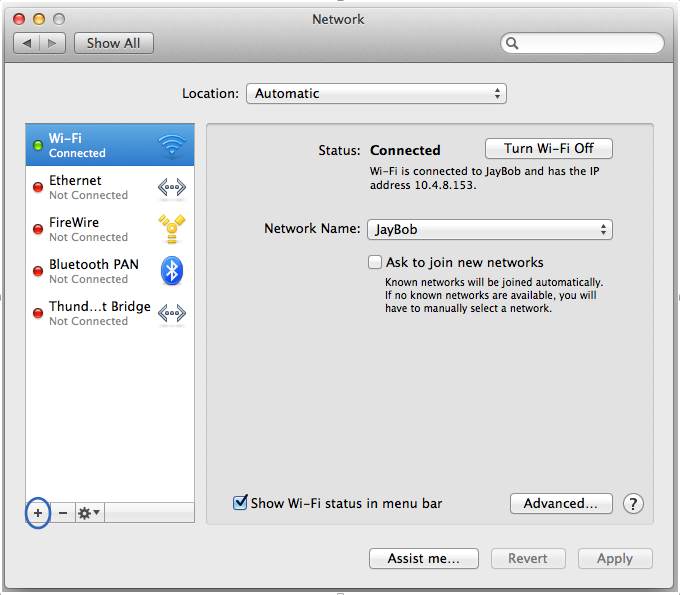 Click on the button Edit then select Networking. 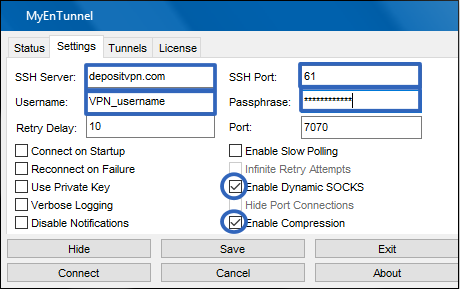 Last helpful tip to make using the DepositVPN service easy. 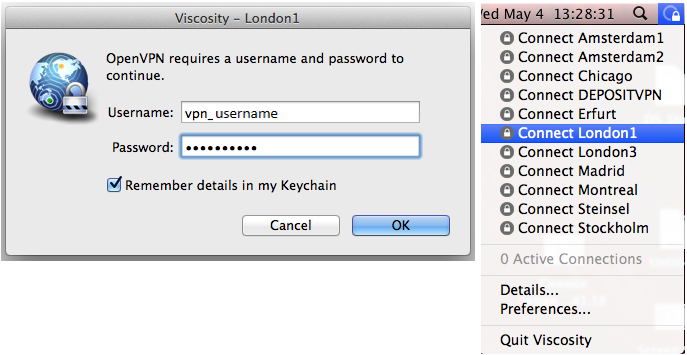 Be sure to tick the box 'Remember these details in the KeyChain﻿' so you don't have to type in your username and password every time you connect to the VPN network. If you wish to confirm that you really are now enjoying new freedoms, security and anonymity on the Internet, go to an IP identification site (e.g. 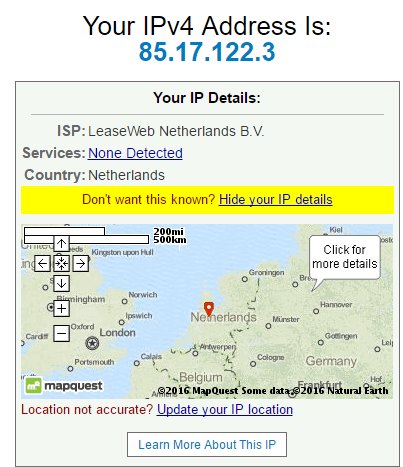 www.whatismyipaddress.com ) where you can see that your IP is now a DepositVPN server node in an entirely new location....and probably a new country! 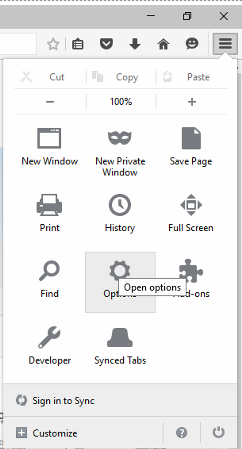 Go to Open menu, then Options. 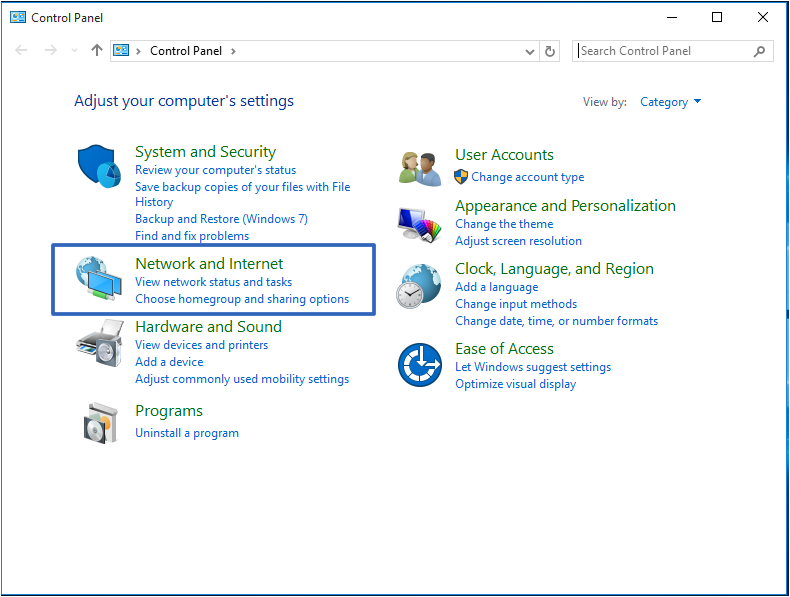 Go to Advanced, then Network tab, then click on Settings. 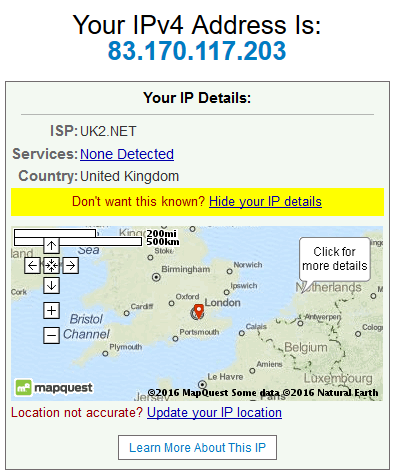 Type in your prefered DepositVPN proxy server address where it says HTTP Proxy. In this example we have chosen the London server. 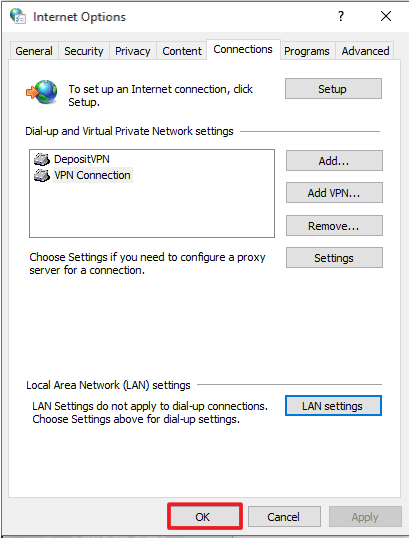 You can choose between any of DepositVPN's server locations. For a complete list of available servers, follow this link. When refreshing your browser page, you will be prompted for your DepositVPN username and password that was emailed to you after payment. The title of the email was, "Depositfiles notification about purchasing of DepositVPN service". 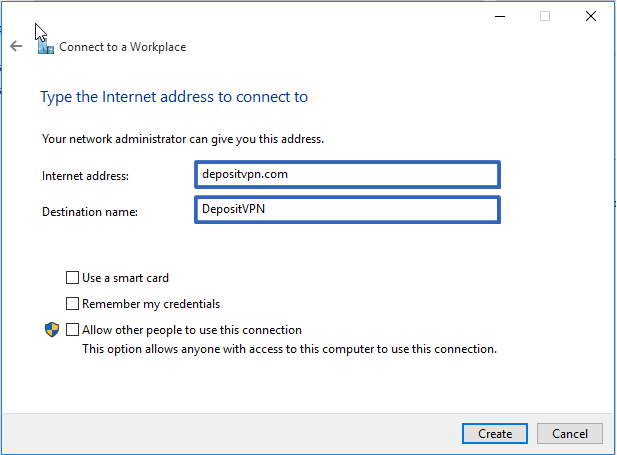 You should now be connected to the internet via DepositVPN High Anonymity Web Proxy service. 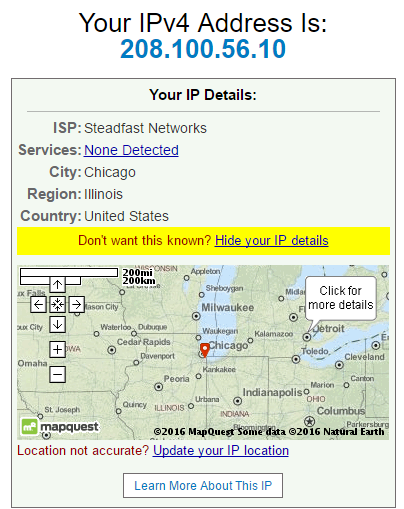 You can confirm this by using an IP address identification site, such as www.whatismyipaddress.com. 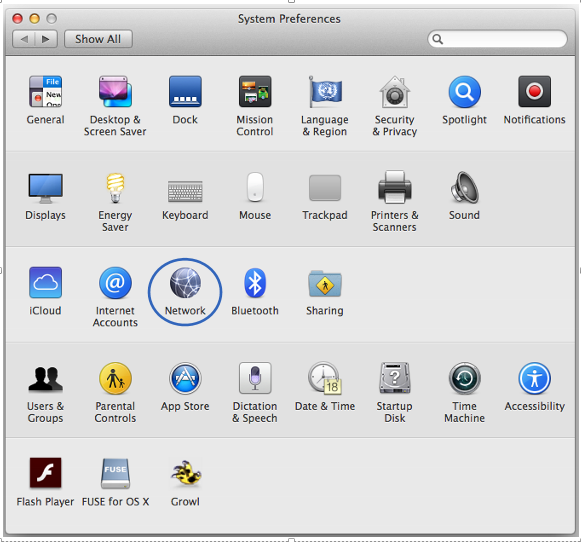 Go to Customize and control, then Setting. 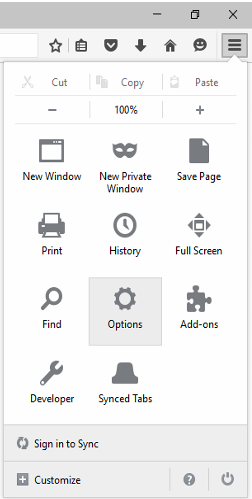 Select Setting tab, then click on Show advanced settings. In the area called 'Proxy server', tick the box; Use a proxy server for your LAN. 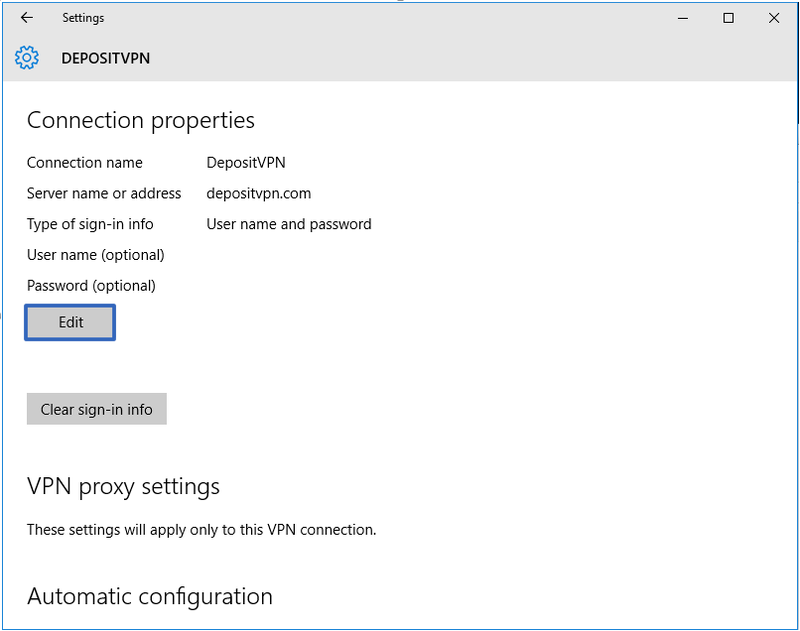 Enter your preferred DepositVPN proxy server address where it says; Address. In this example we have chosen the London server. 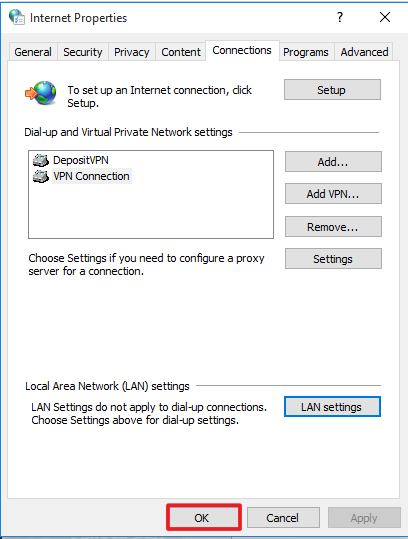 You can choose between any of DepositVPN's server locations. For a complete list of available servers, follow this link. 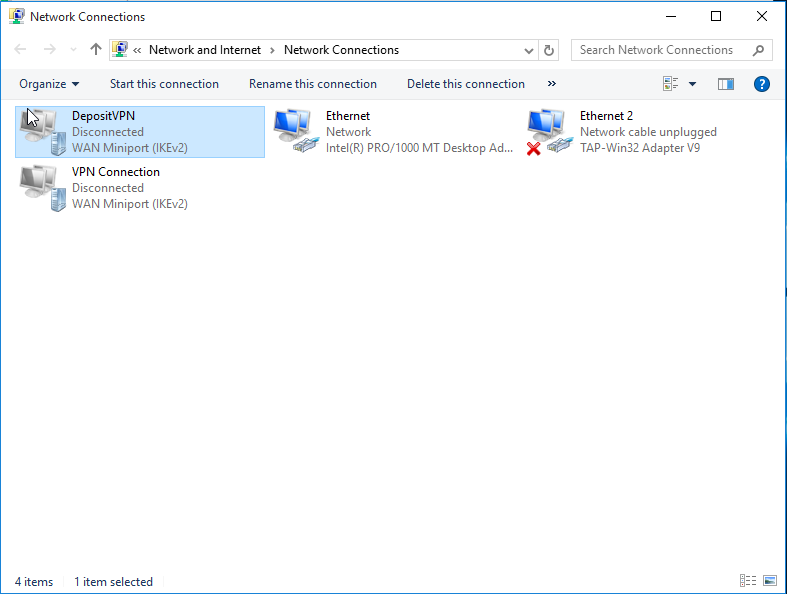 Select Connections tab, then click on LAN settings. 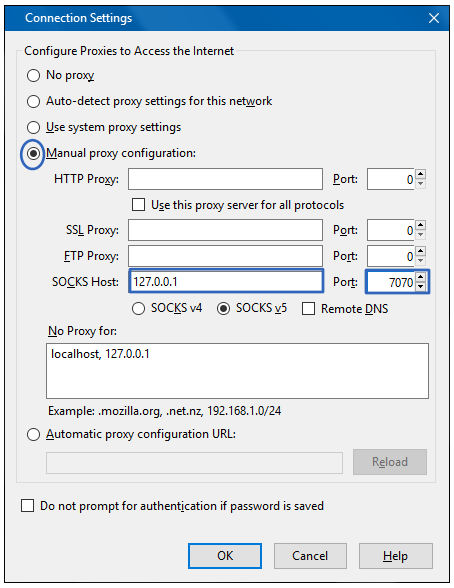 Go to Browser, then scroll Network, then click on Change Proxy Servers.